The Augusta Fountain is a perfect addition to a courtyard, circular driveway, or among the foliage of a neatly manicured garden. 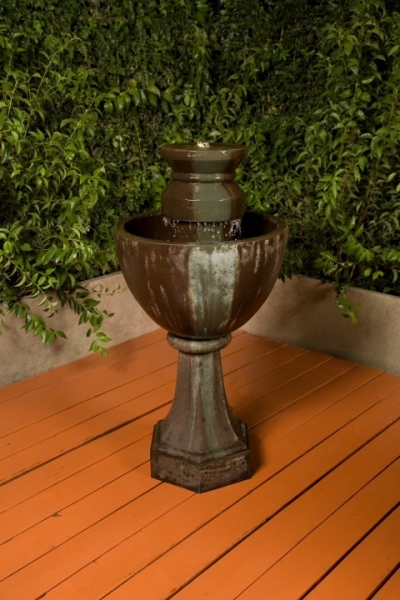 With its modern looking deep bowl design, this pedastal fountain brings the tranquil sounds of water to it's surroundings. DIA 24" H 48" | 191 lbs.